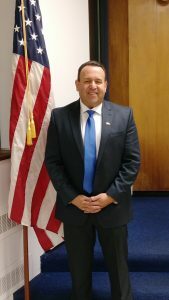 Borough Council has appointed Dave Nay to represent the Second Ward filling the vacancy created by the resignation of Bill Pepitone. Councilman Nay was appointed to fill the unexpired term. Councilman Nay was sworn-in by Borough Manager Scott Mitchell.